← Christmas in Faversham, Whitstable and Canterbury! 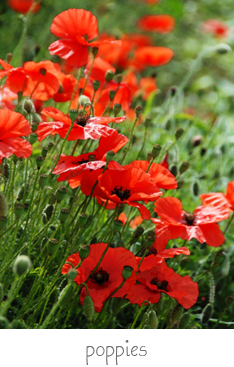 The second Sunday in November each year, close to the 11th day, is set aside for remembering the men and women who gave their lives in both World Wars and in conflicts since. Of course it is well known that 11 November is known as Armistice Day, Remembrance Day or Poppy Day and is the date in 1918, after four years of conflict, when the guns on the Western Front, at the 11th hour, became silent. The First World War began in 1914 and continued until 1918; consequently we are now living in the years that are marking the centenary of those years. It is a day to consciously remember those who have fought, and those who still fight, in order that we can live in safety. When I woke this morning, I thought about what I would write here on the blog today – I felt an uneasiness about promoting our wares for our own gain. With that in mind, any prints of poppies that we do sell between now and the end of the year we will give 20% of the profit to The Royal British Legion for their Poppy Appeal. This print can be found at http://www.nwfineart.co.uk in the photographic section. We also sell the design as a card but these are not on the website, so please contact us if you would like to purchase these at £2 each. This entry was posted in cards, Events Posters, Flowers, Posters, Royal British Legion and tagged Armistice Day, Poppy, Remembrance Day, Royal British Legion, World War 1, World War 2. Bookmark the permalink.